Today is my last day in work before I head home to Cardiff this evening! 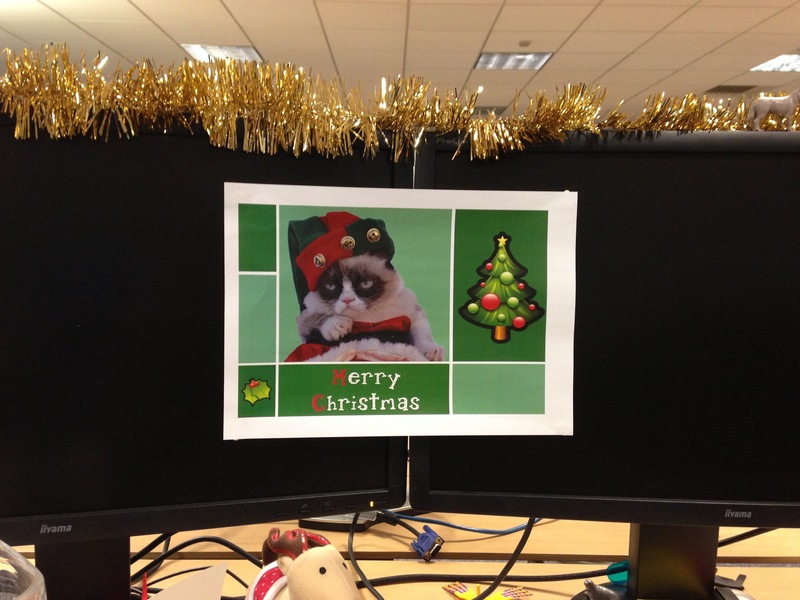 Grumpy Cat greeted me at work as Jasmin put up this lovely photo of him on my screen! I’m excited to go home, Merry Christmas! 20/12/2012 – Awin’s Christmas cookies!